Visit Evansville’s premiere golf driving range. 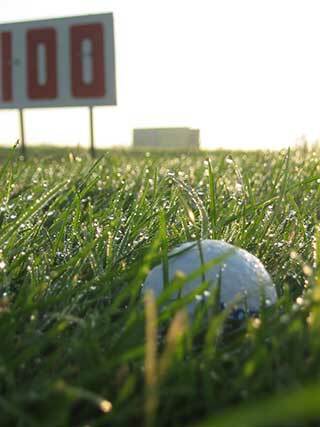 Walther’s Driving Range includes over 80 lighted tee areas with artificial and natural grass surfaces. Serious golfers will find plenty of marked target areas and practice tools. A natural grass short game practice area is perfect for dropping strokes around the green. Stay sharp with practice sessions on cold and rainy days with Walther’s enclosed and roofed hitting area. Misting fans will keep you cool on hot summer days.